The cover of this lovely pop up card features a laser-cut illustration of a blooming cherry blossom branch. Delicate petals fall gently from the branch in this depiction of one spring’s most beautiful sights. 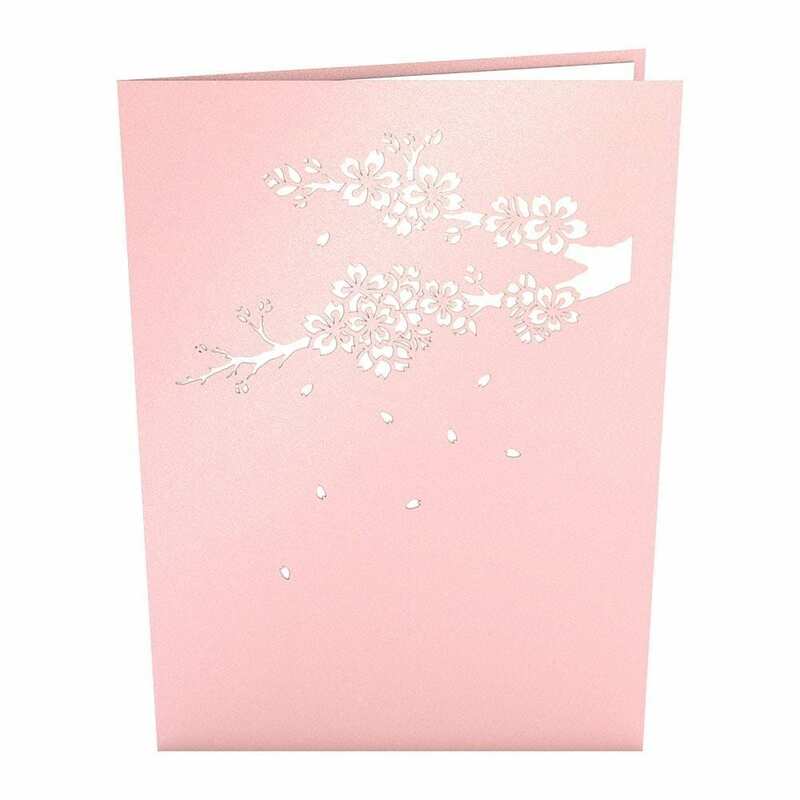 Once opened, this card reveals a stunning pink cherry blossom tree in full bloom. 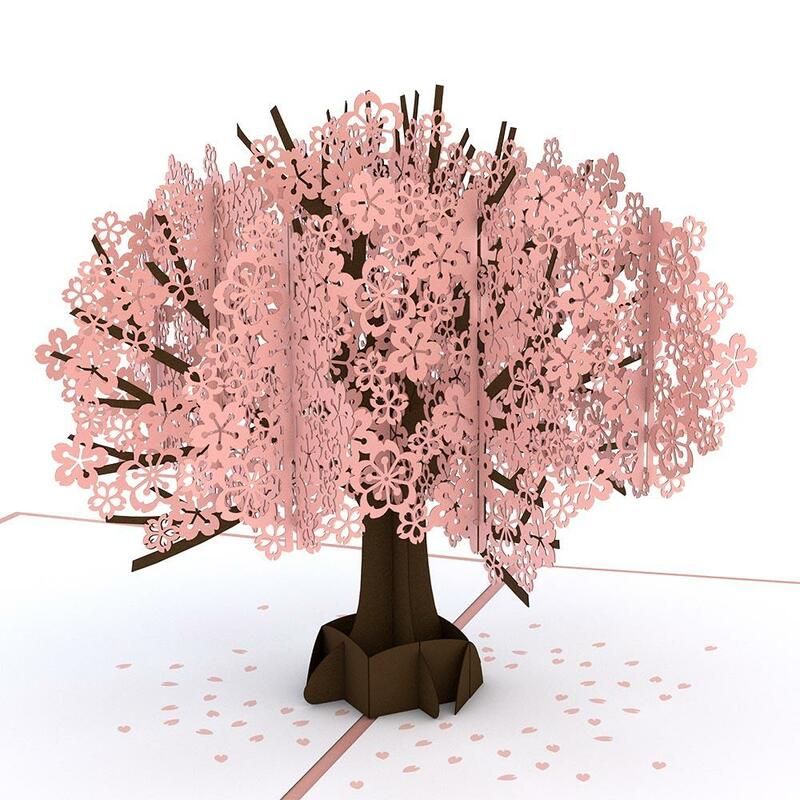 Full of detail and stunning color, and surrounded by petal embellishments at the base of the tree, the pop up cherry blossom tree is as wonderful as the real thing. 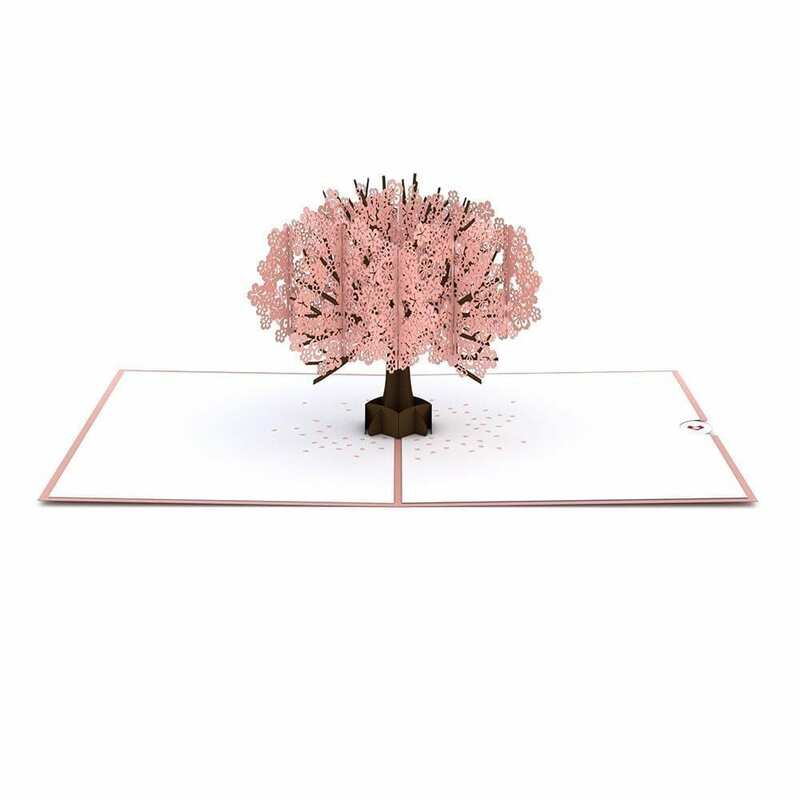 The Cherry Blossom pop up card is 5 inches wide by 7 inches tall.